PROCINORTE has a new President! HomeBlogNewsPROCINORTE has a new President! Director General of the Instituto Nacional de Investigaciones Forestales, Agrícolas y Pecuarias (INIFAP), Dr. De la Torre also assumed the Presidency of the Board of Directors of The Cooperative Program in Agricultural Research and Technology for the Northern Region (PROCINORTE). With the recent appointment of Dr. Jose Fernando de la Torre as Director General of the Instituto Nacional de Investigaciones Forestales, Agrícolas y Pecuarias (INIFAP), Dr. De la Torre also assumed the Presidency of the Board of Directors of The Cooperative Program in Agricultural Research and Technology for the Northern Region (PROCINORTE). Offering notes of congratulations on his appointment, Board members who comprise senior agricultural research scientists in Agriculture and Agri-Food Canada (AAFC), United States Department of Agriculture –Agricultural Research Station (USDA-ARS) and the Inter-American Institute for Cooperation on Agriculture (IICA) also provided assurances of their continued commitment to the work of the northern region platform. Dr. de la Torre is no stranger to PROCINORTE, having served on its Task Force for Genetic Resources (NORGEN) for several years. 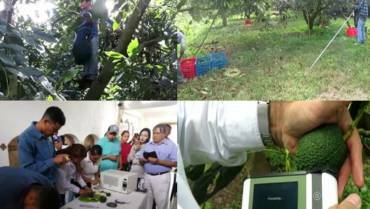 In his former capacity as Director of the National Center of Genetic Resources (CNID) at INIFAP, he collaborated with NORGEN to highlight the benefits of the MILPA system – which is characterized by the cultivation of multiple crops in an environmentally sustainable way, while meeting nutritional needs of the population. 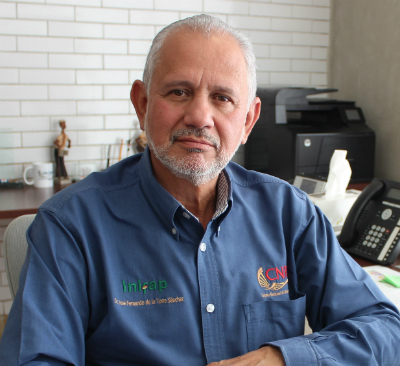 An accomplished researcher and project administrator with over 35 years experience at INIFAP, Jose Fernando de la Torre, has a Ph.D. from Colorado State University in Biomedical Sciences and a Master of Science in Animal Reproduction from the National Autonomous University of Mexico (UNAM). As President of PROCINORTE, Dr. De la Torre will guide the coordination of agreed agricultural research priorities among its members – USA, Canada and Mexico, as well as inform hemispheric and global platforms on the progress being made. According to the incoming President – “Assuming the Presidency of PROCINORTE at this time is both challenging and exciting for me. I plan to continue fostering collaboration in agricultural research and innovation for ensuring competitiveness of our member states”. PROCINORTE, established in 1998, has a specific niche in the Northern Region, supporting agricultural trade through sound science and knowledge sharing on issues of regional relevance. It is supported by the Inter-American Institute for Cooperation on Agriculture (IICA), and has its Secretariat in the IICA Delegation in Ottawa, Canada.